From London, Virgin East Coast trains leave regularly from Kings Cross to Cramlington or Morpeth via Newcastle (3hr 30m). Advanced return tickets are available from around £80 per person. Blagdon is 9 minutes (3.7 mile) from Cramlington Station or 12 minutes (5.8 mile) from Morpeth Station. Buses are available from both stations. If you would prefer to rent a car for the weekend, there is an Enterprise Rent-a-Car in Morpeth (tel: 01670 501900), with small hatchbacks available for around £30 a day. By kind permission of Lord Ridley, we will visit Blagdon Hall. 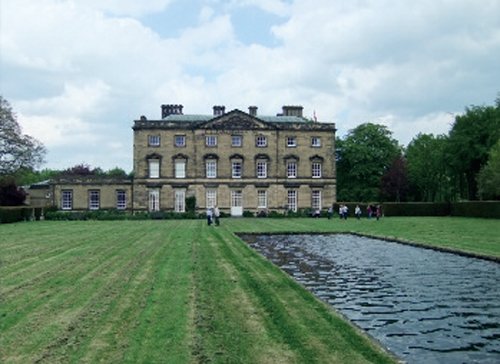 Matthew White, a merchant and Mayor of Newcastle, bought the property in 1692 and rebuilt Blagdon Hall circa 1700-10. Matthew White the third was created a baronet in 1756. The baronetcy passed to his nephew and son-in-law, Matthew White Ridley, who made improvements to the house, including installing new kitchens, a stable block and south lodge, built by James Wyatt. In the 19th century, the north wing was added by John Dobson and additions were made by Ignatius Bonomi for Sir Matthew White Ridley, the third Baronet. The fifth Baronet was created Viscount Ridley of Blagdon and Blyth and Baron Wensleydale in 1900. The third Viscount married Ursula Lutyens whose father, Edwin, extensively redesigned the gardens from 1926 to 1938, while Gertrude Jekyll designed a quarry garden and border in 1929. After a fire in 1944, parts of the house were removed and alterations were made from 1948 to 1949 by Edwin’s son Robert Lutyens. The Hirsel Estate and House at Coldstream is the home of the 15th Earl of Home and, by kind permission of Lord Dunglass, son of the present Earl, we will also visit this house, which has a curious connection to the very young Lutyens. The house was extended by William Adam, William Burn, David Bryce and other Victorian architects, and later Lutyens, aged only 17, provided plans for a complete remodelling of it in 1886. Although his alterations were not executed, we will see correspondence related to it, planned facades and an architectural model of a Victorian renovation that was not undertaken. Meldon Park, the subject of a 2012 episode of Channel 4 documentary Country House Rescue, is an elegant neoclassical house, one of architect Dobson’s finest Greek Revival designs. Built in 1832 for Isaac Cookson at a cost of £7,188 1s 1d (about £5m today), it was a sizeable building with extensive service accommodation and a beautiful orangery, although the main house was comparatively small. That said, the rooms are bright and well-proportioned with a grand central staircase and a deep-coffered ceiling described by Nikolaus Pevsner as being “the size of one in a London club”. The staircase was later reworked by Lutyens, who replaced the original metal balustrades with wooden ones and added decorative plaster panels. We will also visit Whalton Manor, one of only two houses of which Lutyens and Sir Robert Lorimer each designed parts at separate times. 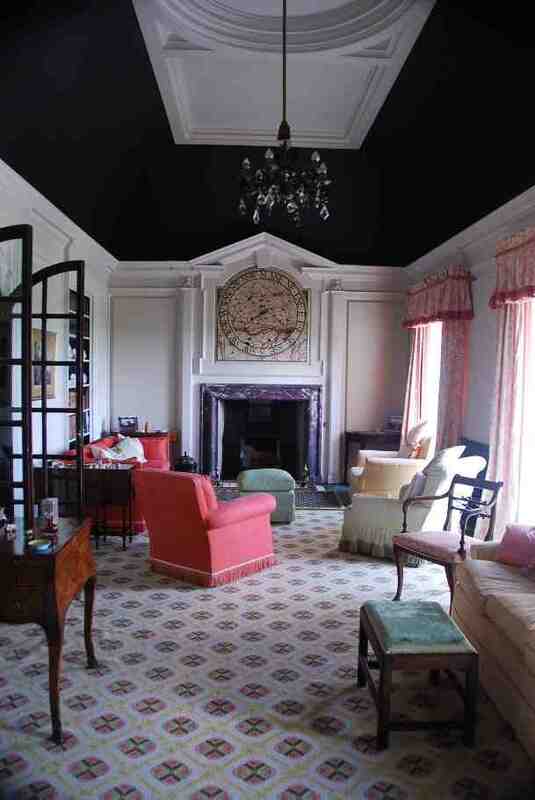 The house dates from the 17th century but was substantially altered by Lutyens in 1908. With the help of Gertrude Jekyll, he also ed gardens, which include a pavilion, tiled hexagonal summerhouses, stone pergola and courtyard. The weekend does not include transport or accommodation. However, lunch will be included on both days and a full itinerary provided. Tickets cost £95 (for both days and to include a £25 Gift Aid donation). Please send a stamped addressed envelope — or your email address — and a cheque for £95, made payable to the Lutyens Trust, to Rebecca Lilley, Trust Secretary, Danewood, Denwood Street, Crundale, Canterbury, Kent CT4 7EF.